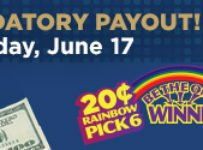 Gulfstream Park is headed into the final nine racing days of its spring meet, which ends June 30. 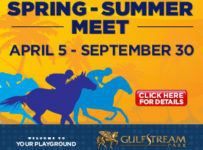 Starting tomorrow, Thursday June 16, Gulfstream will have racing Thursdays through Sundays until the end of its summer meet that will run from July 1 to Oct. 2. First post is 1:15 p.m. unless otherwise noted. Here are some things to look for in the final days of the spring meet. As planned, Gulfstream starting this Thursday and for several weeks will not have any races on the inner part of its wide turf course. 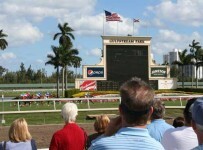 From this Thursday through this Saturday, the rail will be at 72 feet for all Gulfstream turf races. On Thursday, four races are scheduled for turf on the eight-race card. On Friday, five races are scheduled for turf on the nine-race card. On Saturday, five of 11 races are scheduled for turf. For several weeks, superintendent Bill Badgett and his team will be refurbishing the course’s inner part, which is lower and absorbs more wear and tear than the outer portion. In recent months, Gulfstream has had inside and outside rails each day, sometimes running two-thirds of its races on turf. Recently several trainers including Jose Garoffalo and Larry Bates have told us they think the turf course has held up very well—especially considering that Gulfstream has been racing on it five days a week since December. (Note—later this week, we will have the first of several articles on handle, field sizes and number of races taken off turf during this year’s Gulfstream spring meet). Antonio Sano and Ralph Nicks are tied for the lead in the spring meet trainers’ standings with 15 wins apiece. Mark Casse is third with 13 and Marcial Navarro is Fourth with 12 victories. Emisael Jaramillo leads jockeys with 51 wins. Others in the top five and their number of wins are: Eddie Castro 43; Edgard Zayas 39; Tyler Gaffalione 34; and five-pound apprentice John Cruz 33. Zayas will be sidelined until at least late June with a broken rib suffered in a spill at Gulfstream on May 25. Gaffalione is scheduled to resume riding this Thursday. He has been out since June 2 due to a lung infection. He is a go-to rider for Nicks, and led Gulfstream jockeys in wins during last year’s spring and summer meets when he had a five-pound apprentice allowance. Cornelio Velasquez has nine wins in 40 mounts since June 1 when he began riding full-time at Gulfstream. He had been riding on the New York circuit. Velasquez looms as a major contender for the riding title at the Gulfstream summer meet. PTK LLC leads owners with eight victories at the spring meet. 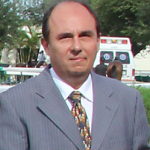 Frank Carl Calabrese, the leading owner at Gulfstream’s 2015 spring meet, and Arindel are tied for second with seven wins each. PTK is headed by Paula and Tom Haughey. Arindel is owned by the family of Alan Cohen, the former majority owner of the Florida Panthers.